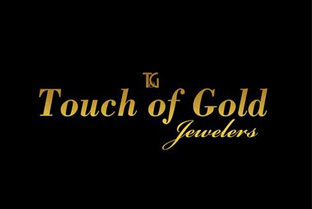 Established in 1990, Touch of Gold Jewelers is proud to celebrate their 25th anniversary and continue to provide their customers with exceptional service and quality. They house one of the largest and unsurpassed selection of "Ideal and Excellent" "CUT" quality loose diamonds in all shapes & sizes at significant savings. A few good reasons to shop at Touch of Gold Jewelers; because it's the little things that matter the most! Impeccable Integrity & Impressive Dedication ~ Uncompromising Quality & Exceptional Value ~ Quality Jewelry you Expect with Top Notch Service you Deserve ~ Duty-Free And Tax-Free Prices with Savings up to 30 Percent off Global Prices ~ U.S. Based Customer Service Centers ~ Personalized After-Sale Service ~ Loose Diamonds Accompanied By Certificates Documented By The World's Most Respected Gemological Laboratory, GIA ~ Elegantly Crafted Designs Created With Meticulous Attention To Quality And Detail ~ Expert, Friendly And Knowledgeable Sales Staff. With An 80 Percent Repeat Clientele, their Reputation Speaks For Itself! Heeru, the owner has a goal to always exceed the expectations of every customer. She sets the standards and her expert sales staff follow. So shop with confidence and make this a memorable experience that will bloom into a lasting relationship. Touch of Gold Jewelers is committed to representing leading designer, VERRAGIO for their engagement rings and wedding bands and are proud to be the exclusive retailer in the Caribbean.